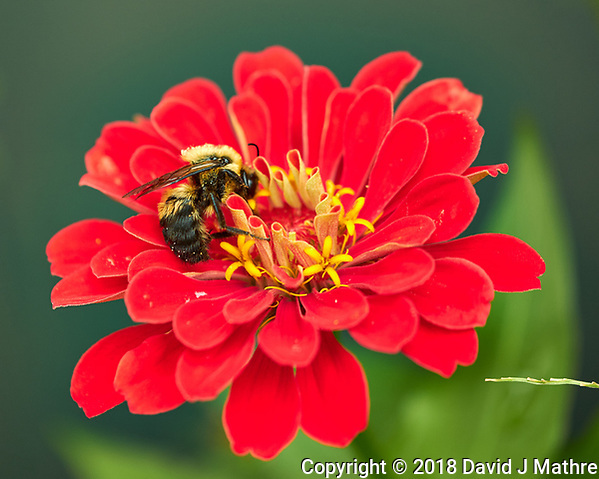 After the morning rain, a Monarch Butterfly and a Clearwing Hummingbird Moth showed up in my wildflower bed next to the house. There also were a lot of Bumble Bees working the flowers. 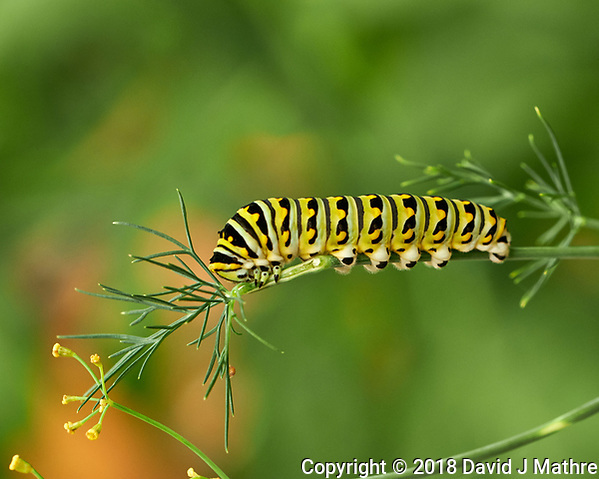 Up on the patio, the Caterpillar was still eating my Dill herb. 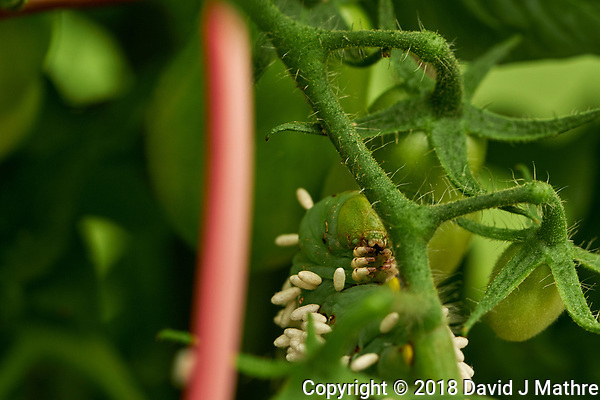 The Tomato Hornworm covered with the predatory wasp cocoons was still hanging on. 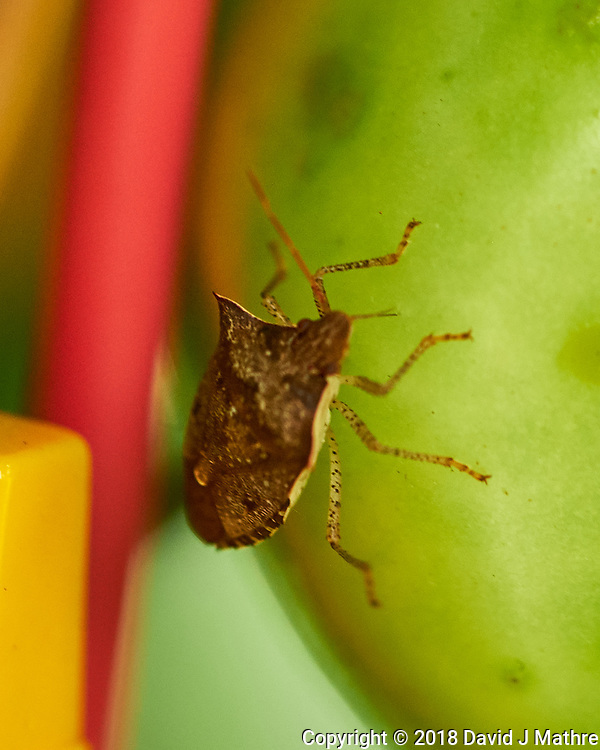 A Stink Bug was feasting on a green tomato — I knew they were vegetarian, but don’t want them eating my vegetables. 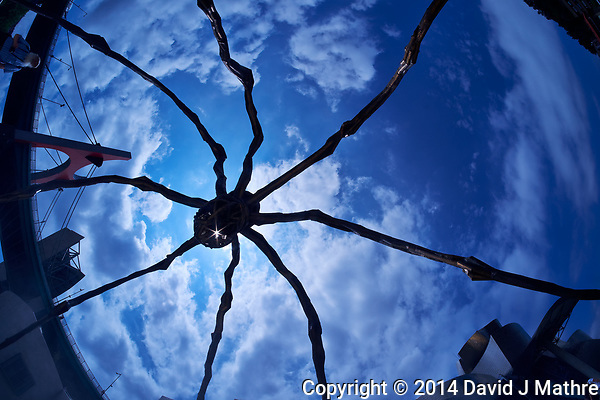 Finally, a weird-looking spider (Darth Vader, or out of Aliens) was guarding its web.